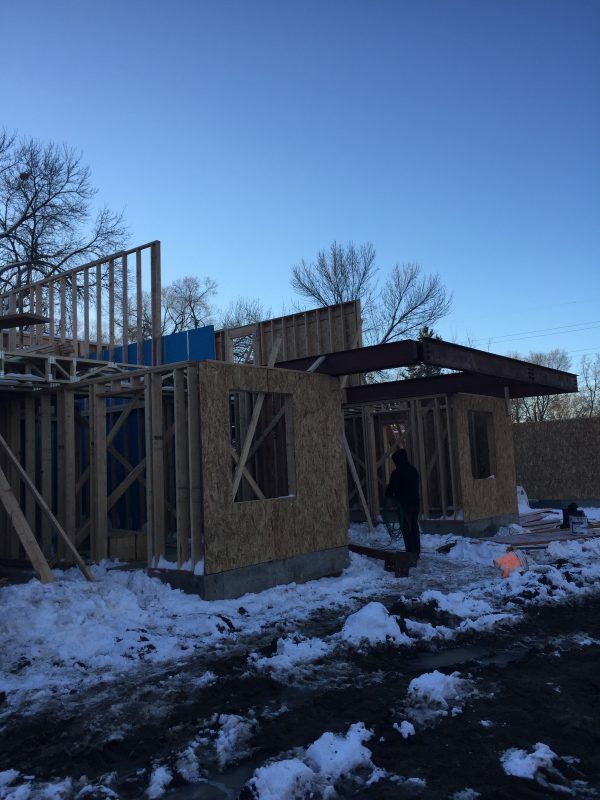 The Mount Air Town Homes are quickly going up along 10th Avenue just west of Wadsworth Boulevard. 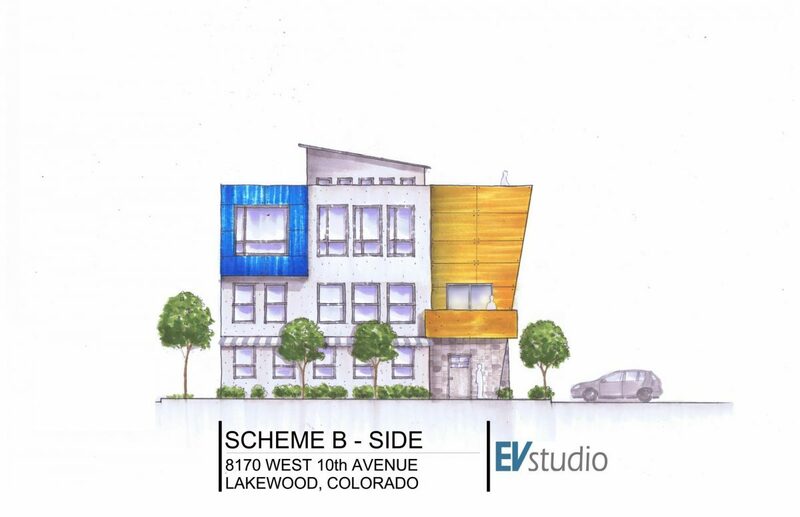 These 6 town homes are divided into two buildings of three units. Since the lot is long and narrow we kept the main floor efficient. It only consists of: entry, garage and storage space. Go up a level and you get into the main living quarters of the home. In order to maximize this space we cantilevered the upper two levels out of the main level. This allowed us to have a small footprint which accommodate the driveway and some landscaping. 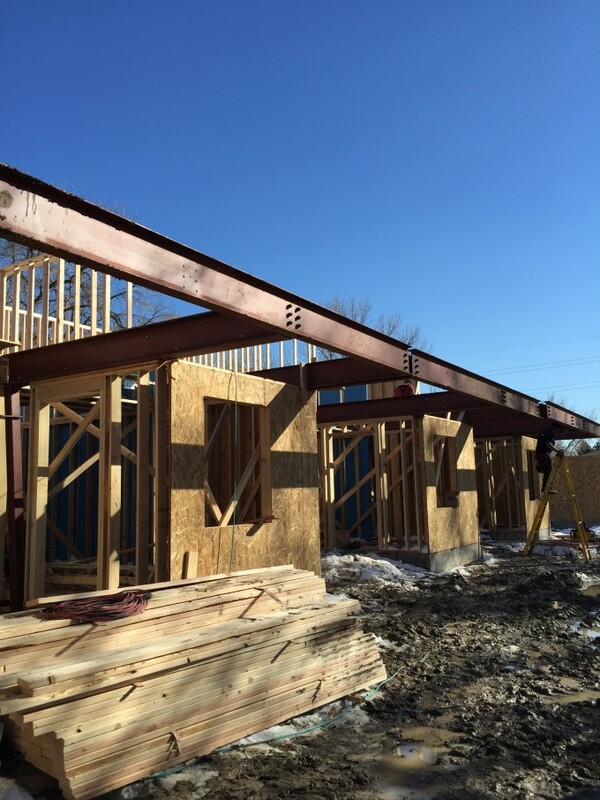 The cantilever comes out nearly 6 feet past the main level in order to give more space to the main living area on the second floor and bedrooms on the third floor. This is a great example of creating an interesting and dynamic form that also serves a greater function for the residents. 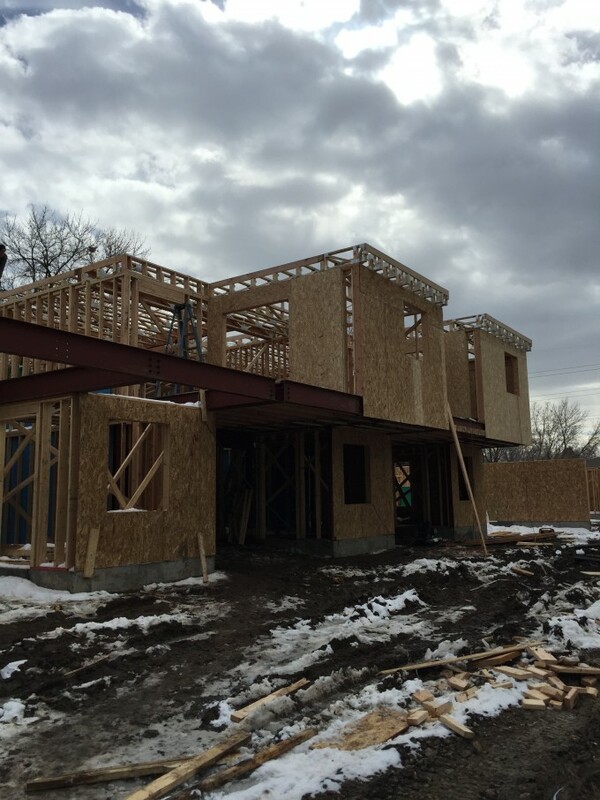 Wood framing at the cantilevers. Notice the floor framing extending past. The walls will also be sloped to hide this. All three cantilevers in place.